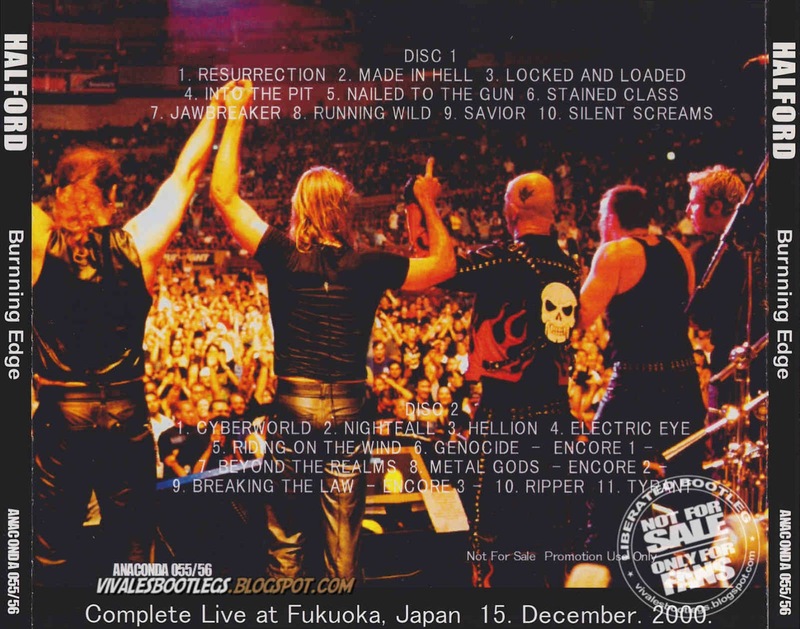 Recorded Live at Zepp Fukuoka, Fukuoka, Japan - December 15, 2000. Files: 21. :: Size: 225.72 MB (mp3) | 611 MB (flac). Personnel: Rob Halford - vocals :: Mike Chlasciak - guitar :: Patrick Lachman - guitar :: Ray Riendeau - bass :: Bobby Jarzombek - drums. Notes: Audience recording (Liberated bootleg). Lineage: Original bootleg discs > WAV (EAC in secure mode) > Flac (TLH @ level 8). High Quality Cover scans included.<-(Info taken from original info file). ROB,ESTA JODIDO,PERO RESPETO SU LEGADO Y AMOR AL HEAVY METAL.SU CATEGORIA ES INCUESTIONABLE.